"I wouldn’t have trusted Mark with the signs and I would now have had whiskey at my wedding in hindsight"
This profile marks the third in our series, I cannot begin to express how much we appreciate the support and time that each one of these people has taken to answer questions and share their insight. Each and every profile I have featured is a person I have admired near or from afar and all members of this crazy love club. Tonight we feature Antonia one half of the incredibly talented Mark Antonia, a floral artist who works with dried goods to create artificially inspired works which can be found featured in the most beautiful stores, homes and weddings of Auckland city. Let's start at the beginning, can you tell me a bit about who you are and what it is that you guys do. I’m Antonia and I’m half of Mark Antonia, a creative business up in Kingsland, Auckland. We have two smudgy cats and crazy creative life. 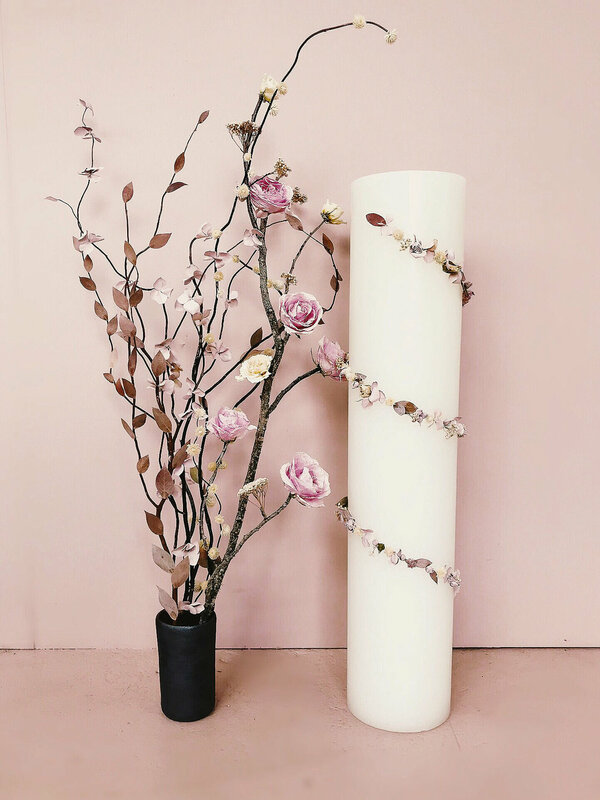 Our business is mostly known for our dried flowers and candles throughout the country. We met at University, both studying, we got married and now our baby is our joint business. Your past projects are a bit of a "who’s who" what a list! Did you always imagine dried flowers would be this well received in New Zealand? Haha, are they, I’ll take that as a very nice compliment, in modesty. I always dreamed of that but totally did not expect to be as well known and work with some of the most amazing clients and companies. I have been so lucky myself with my flower side of the business, I’m pretty proud to have my dried arrangements and work so appreciated. I did, however, feel like dried flowers were due to dominate again, I love the beauty of fresh flowers but dried flowers are so more beautiful and last for evermore. What sparked the revival, I'm guessing its a new take on what I imagine has been a ritual of sorts for generations? Can you tell me how you fell in love with the process? I feel like with most design industries, it’s akin with fashion and so for, so naturally there's a cycle of trends which spin the popularity spin. It’s totally a revival and the past dried work I find in the dusty old books of the past. But I love the modern twist of it. I use dried flowers and I love cottage style but I am more known for my spin of the use of dried flower, I see my work more as sculptural and lasting, they have an architectural quality and a jewellers patience with the delicacy of my arrangements, yes every berry, leaf of flower is glued neatly to re-create mother nature as my friend called it once, I like that comparison. Forgive me if I'm wrong but I feel as though there is a slightly anti bridal movement going on at the moment, a minimalist comeback to the excess that weddings have become, do you guys feel like your customer is often this person in some way or another? The anti bridal movement goodness, hehe, well I think bridal couples are starting to move away from the traditional. Brides and grooms are realising they can literally do whatever they like, so I definitely noticed a move away from following ‘the rules’ I love seeing the new creatively that is coming out of this, I love it, rules are made to be broken. I know my bridal customers love that they can have any colour want, one of my favourite weddings this season was a call for deep dark burgundy and deep navy, it was stunning, a bold wedding choice but it just worked perfectly. My clients also love that they can keep my dried arrangements forever more as mementoes. Of their day or add a nostalgic scent of the season in our candles which are seasonally and floral inspired. Our winter candle was actually also our first candle and also our winter wedding scent. My dad (bless him) kept my bouquet for me and hung it upside down, I treasure it so much and it's now hanging in our living room, and do you have any pointers for novice flower artists? Its best if possible to separate the flowers so that your wedding bouquet has air to breath while drying. As you don’t want you're flowers going mouldy. They also love a space out of sun with plenty of warm air. 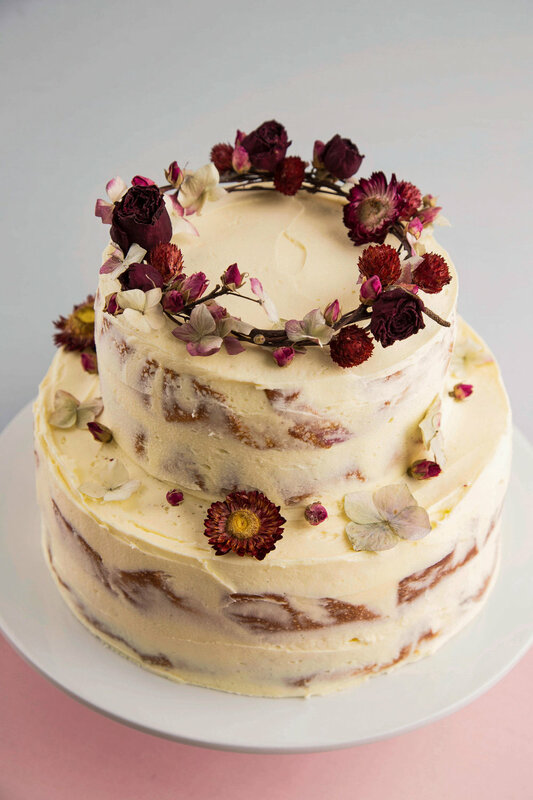 What're the best and worst things a bride can ask for / or do you have any advice for brides wanting to use dried florals? Probably fresh flowers as I no longer do them so either recommend a different fresh florist and or offer alternatives that I am able to offer through my dried floral work. When having dried florals at a wedding the best thing is to remember that they are fragile, they need to be treated with love. Which they always are. But also for couples to know that anything I make on the day can be something I can fix later on, so not to worry. I really want this blog to become a genuine resource to a collection of brides who aren't finding what they are looking for yet in NZ, do you have any great resources, suggestions, tips tricks anything you'd love to share? My best stuff would be to brides to not sweet the small stuff, enjoy the day take a moment to let go and actually be there, the day goes so fast. Take moments to remember everything. Be creative, have the day you two want and no one else, don’t fall into family pressures, pull the finger and do it your way baby. Quickfire, two wedding items you would always say splurge on, and two you can save on? I would always splurge on the shoes and any things that you can keep afterwards, remember an amazing wedding dress can be worn later at the most inappropriateevent to get lols. I would never say splurge on flowers I would myself but that would be rather biased, oh also splurge on a good photographer that you gel well with. Don’t get Jim or Jane the photographer hobbyist down the street to take your photos that will last a lifetime. Your aesthetic is faultless; can you name your three biggest visual influences/ movements past and present? Gosh, I take it all in, we live at an amazing part of time which means all information is available to us, especially visually. I do take it all in, I have too to stay on top with my work. I refuse to become stagnant so I am forever researching all forms of design. I find that for my work I am mostly influenced by design be it architectural or interior design. "I only ever really buy home design magazines and books I hardly ever look at what other florists are doing. I prefer other references for my work"
I always buy Elle decoration/Uk and local magazines such as Home-style, HOME or lately a new in one called Interior. Mark and I usually but monocle for the business articles, it’s a great magazine that often showcases other designers in the business. I rip to bits the magazines that promote a slow living lifestyle. If you want your creative business to succeed you actually have to give your heart to it and create. Who did you trust to do your wedding flowers, would you change anything? I did my own wedding flowers; it was half fresh for the ceremony at the pond winter garden glasshouse and completely dried flowers at the reception with our candles on all the tables. I wouldn’t have trusted Mark with the signs and I would now have had whiskey at my wedding in hindsight. Today if I had to choose anyone to do my flowers I would have two of my girls that I would equally trust, Eden at the Botanist and Shaye from on your hand. They are stars and my true friends. Last but not least, what are we going to see more of in summer 2018 weddings? I’m no soothsayer but I think that we will start to be seeing more risks taken in weddings and seeing some creative alternatives to the traditional wedding. A move towards unconventional colours typically known for weddings and a move away from grandeur to a move more simplistic and clean.